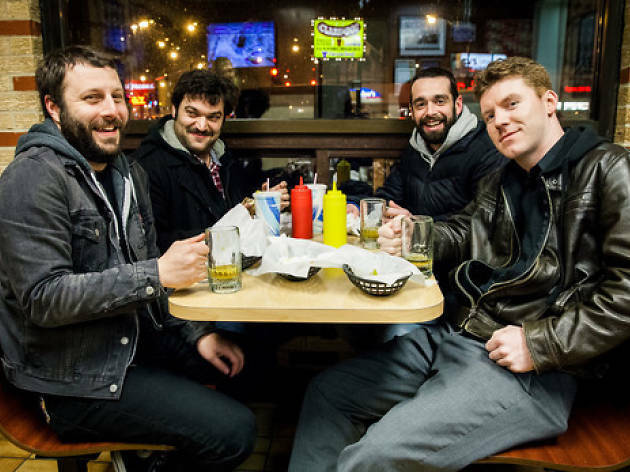 These Chicago comedy nights at alternative venues are among the best bets for up-and-comers in stand-up and sketch comedy. Chicago is host to a bevy of dedicated comedy clubs, from such institutions as improv mecca iO Chicago and the legendary Second City to stand-up joints like the Laugh Factory. But some of the most daring Chicago comedy can be found in bars and pubs, bookstores and comics shops, on stages where bands might be playing most nights. Following the example of the Lincoln Lodge, which began its life in the back room of a greasy-spoon diner (though it now makes its home at Wicker Park's SubT), regular comedy nights have sprouted in a number of Chicago's watering holes over the last decade and a half. These are the places you're most likely to spot the next Cameron Esposito or Kumail Nanjiani.